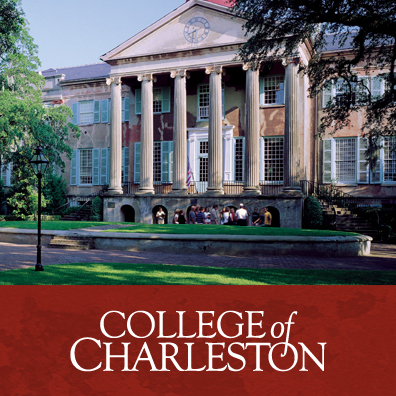 The College of Charleston is a liberal arts school and as such is focused on providing a balanced academic curriculum for its student body. During my time at CofC I embraced this philosophy wholeheartedly. After meeting my liberal arts requirements, I chose a History major to focus on and emphasize my writing ability and develop my research skills. I also needed to feed my creative side and took on a Studio Art minor. I spent countless hours in the painting studio and darkroom, developing my sense of composition and aesthetic style. I rounded out my schedule with a smattering of other subjects including foreign languages (French and Spanish) and Art History. Between my freshman and sophomore years I sought out an internship with the Student Conservation Association. I landed a gig with the National Park Service, giving living history tours at a historic mansion in Death Valley, California. This was a great experience unto itself, but I made an even more significant discovery out there in the desert. In the Grapevine Ranger Station I found an old workstation with Adobe Creative Suite installed and started a lifelong love affair with Adobe Photoshop and digital photography. During my junior year at CofC, a professor in a 300 level Native American History course offered students a chance to fulfill an assignment with a short film instead of a written paper. Naturally, I jumped at the chance. Another student, Josh Garfinkel, and I traveled to Cherokee, North Carolina and created a short documentary film about poverty on the reservation. It wasn’t great film-making but it whet our appetites for adventure and on-location research. We wanted to hear more of these people’s stories for ourselves. The initial documentary inspired us to go even further. We discussed the possibility of doing an independent research project with the same professor (who had now become our advisor). This time we wanted to head to one of the larger and poorer reservations out west. We did the research and applied for grants to purchase a basic camera and microphone. Then we bought a road atlas, packed up all of our camping equipment in my parents’ old Cadillac Coupe DeVille with the drivers side window stuck up and the passenger side window stuck down and headed west. Our destination was Shannon County, South Dakota, the heart of Pine Ridge Indian Reservation and the Oglala Sioux Nation, and the poorest place in America. We came back with hours and hours of footage, and the stories of the Lakota people. Now the real fun began. Josh and I taught ourselves video editing using Sony Vegas and CofC’s brand new media lab in the library. We became pioneers of that lab, and mainstays in the library. And in the end, we produced a full-length film that we could be proud of, and the memories of an adventure where we traveled deep into the heart of the West and came face to face with the history that resides there. Poverty on the Pine Ridge Reservation: Historical Causes and Modern Consequences from Brad a Michael on Vimeo.